Westone Model 70 surfing and swimming ear plugs are full shell ear plugs featuring a sealed membrane spanning the sound bore that keeps cold water and cold air out of the ear canal while allowing sound to pass through with very little attenuation. This feature is ideal for surfing and group swimming where you need to be able to hear what is going on around you, but where protection from surfer's ear is absolutely essential. 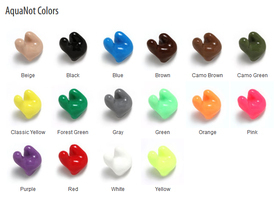 Westone Model 70 surfing and swimming ear plugs are available in a variety of colors and color combinations. Choose the Swyrl color option if you would like us to create for you a unique combination of up to three colors artfully swirled together (extra charge applies). Be sure to tell us which two or three colors you would like in the comments box during checkout! 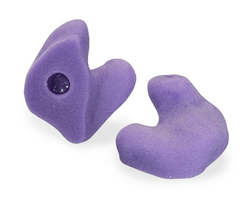 Westone Model 70 surfing and swimming ear plugs are made of Silicone Aquanot material. Westone DefendEar Style 70 Custom-Fit Surfer and Swimming Ear Plugs (One Pair)5BethGOctober 13, 2013First, I would like to acknowledge the superior customer service from the Ear Plug Store. I have made a few purchases over 4 years and each transaction has been perfect. I recently purchased the Westone 70 custom ear plugs for frequent swim practices in a pool (not ocean). I have a history of frequent middle and outer ear infections, and have tried several brands of ear plugs. These custom plugs are worth the money. They work very well if used with the Crescendo Ear Balm lubricant. I can hear the coach reasonably well because of the design with the membrane. There is a very tight seal-- making them a little tricky to remove. I chose the hot pink color thinking that I could find one if it fell out in the pool. I don't think there is much chance of them falling out though! When I made the mold for each ear, I kept my mouth open wide to simulate the shape of the ear canal when catching a breath while swimming. I filled the outer ear quite full with the mold material. Took photos of the molds and sent to Ear Plug Store to verify that the molds were acceptable. A store rep replied right away. The whole process was remarkable in that there were no glitches, expectations were met, and the earplugs work very well. Thank you. Westone DefendEar Style 70 Custom-Fit Surfer and Swimming Ear Plugs (One Pair)5AudreyJune 18, 2013After swimming in my wave pool for the last 5 years, I noted water in the ear and tried many remedies but none worked. Thinking I might have to give up swimming, which I love to do, I googled you're website and ordered the Westones. I got the plugs yesterday, and within the hour I was trying them out in the pool. To my relief they worked! Awesome earplugs and nice 3 swirl design! Thank you so much for making them.I'll be swimming another 5 years or more with no water in the ears.